Esther Kaplan is the editor-in-chief of Type Investigations, formerly known as The Investigative Fund, where she has been part of teams that won three Emmy Awards, a Polk Award and an IRE Medal. 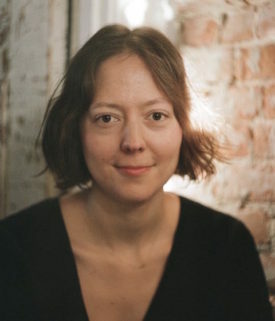 She is a radio and print journalist who has written for Harper's, Virginia Quarterly Review, The Nation, The American Prospect, In These Times, The Village Voice and other publications. She is the author of With God on Their Side: George W. Bush and the Christian Right (New Press) and was a 2013 Josephine Patterson Albright fellow with the Alicia Patterson Foundation. 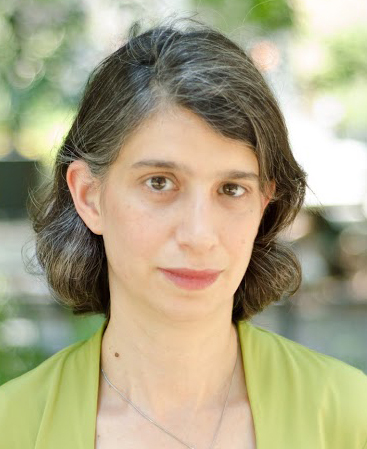 She was formerly a senior editor at The Nation, features editor at Poz, the national AIDS magazine, communications director at Communications Workers of America Local 1180 and a host of Beyond the Pale, a weekly program covering Jewish culture and politics on WBAI in New York City. She began her journalism career as an assistant editor at The Village Voice, where she became a regular contributor. Her writing has won the Molly Prize, a Sidney Award, a Clarion Award and other honors. Sarah Blustain is deputy editor of Type Investigations, where she has commissioned stories on a range of subjects: corporate environmental degradation in the U.S., humanitarian disasters abroad, regulatory failures, reproductive rights and more. Projects she has overseen have resulted in Congressional hearings and the resignation of a public official, and have won multiple awards. She is a former senior editor for Newsweek/Daily Beast, where she edited longform stories for print and online. Previously she was a senior editor at The New Republic, deputy editor of The American Prospect, and senior editor for the feminist magazine Lilith. She has done extensive reporting and critical writing, on reproductive rights and other matters, for The New Republic, The Nation, Mother Jones, Democracy Journal, Salon and elsewhere. Jayati Vora is managing editor at Type Investigations. She has led our first-ever partnerships with Al Jazeera’s Fault Lines investigative documentary show, Jezebel, MIC, and High Country News. Stories she has commissioned range from fraud in international adoption to the U.S. and toxins in cosmetics marketed to teens to lack of translation services hampering voting rights before the midterms. Previously, she was features editor for Al Jazeera America, and during her time there led numerous longform and investigative projects. Stories she has edited have been recognized by the Data Journalism Awards, the Sidney Awards and the Eppys. Many have been translated into other languages and featured on radio and TV. She moved to Al Jazeera America from The Nation Institute, now known as Type Media Center, where she was web and associate editor for five years. Before moving to the United States, she was theater section editor at TimeOut Mumbai and staff writer at a men’s monthly feature magazine in India. She currently edits a weekly column about race and equity in education for The Hechinger Report. Alissa Figueroa is senior editor and senior producer at Type Investigations, where she oversees the Ida B. Wells Fellowship program and our broadcast partnerships. Stories she has edited at Type have appeared in national print, digital and broadcast outlets, including FiveThirtyEight and NBC Nightly News. She was previously investigative producer at Fusion, where she helped launch the network’s investigative unit and reported across the country and internationally. Her investigative and public service journalism has been recognized with a Robert F. Kennedy Journalism Award, a Clarion award, an NABJ Salute to Excellence Award, and other honors. Her 2015 documentary, Prison Kids: A Crime Against America’s Children, was nominated for an Emmy and selected as a finalist for the Livingston Award for Young Journalists. Prior to coming to Fusion, Alissa was an associate producer at NBC News. 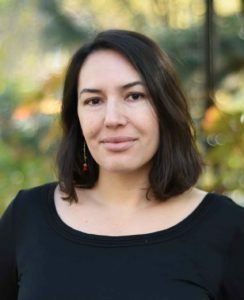 Her work has also appeared on the PBS NewsHour, Marketplace, Nightline ABC, Aqui y Ahora from Univision Noticias and The Christian Science Monitor. Joe Conason is editor-at-large of Type Investigations. He is also founder and editor-in-chief of The National Memo, a daily newsletter and news site. For 18 years he wrote a weekly political column for The New York Observer, where he formerly served as executive editor, and for 12 years he wrote a weekly column for Salon. He previously served as investigative editor of The American Prospect and editor-at-large for Conde Nast’s Details. Before that, he worked for The Village Voice as a columnist, staff writer and national correspondent. He is the author of several books, including Big Lies: The Right-Wing Propaganda Machine and How It Distorts the Truth (St. Martin’s Press) and, with Gene Lyons, The Hunting of the President: The Ten-Year Campaign to Destroy Bill and Hillary Clinton (St. Martin’s Press), both of which were New York Times bestsellers. His most recent book is Man of the World: The Further Endeavors of Bill Clinton. His articles and essays have appeared in Harper’s, Esquire, The Nation, The New Republic, The Guardian (London) and The New Yorker, as well as scores of other periodicals. He appears frequently as a commentator on television and radio, including several years as a regular guest on Air America’s Al Franken Show. A winner of the New York Press Club’s Byline Award, he has covered every American presidential election since 1980. Darya Marchenkova is the Don and Doris Shaffer Intern at Type Investigations, where she fact-checks stories and conducts research. She interned as a daily reporter at the Montreal Gazette and completed a graduate program in visual journalism at Montreal’s Concordia University. Before becoming a journalist, Darya worked in community organizing, communications for social movements, and curriculum development for nine years. Her work took her across the United States, from Texas to Vermont. She holds a master’s degree in political science from Central European University and a bachelor’s degree in liberal arts from The New School. Susan Antilla is a reporting fellow at Type Investigations. She an award-winning investigative journalist, columnist, and author writing about business and finance (investor protection, securities regulation, and sexual harassment in the workplace) since 1978. She was author of the Sunday “Wall Street” column at The New York Times and has been a columnist at Bloomberg View and TheStreet.com. Her freelance articles have appeared in The New York Times DealBook, CNBC, and others including New York magazine, CNN.com, Investopedia, and The Scotsman. She began her career as a business writer at Dun's Business Month and later headed the New York Bureau of the Money section of USA Today and the financial bureau of the Baltimore Sun. Antilla has a master’s degree in journalism from New York University, and she was formerly an adjunct professor in the graduate journalism departments of NYU and Fairfield University. Antilla is the author of the book Tales From the Boom-Boom Room: The Landmark Legal Battles That Exposed Wall Street’s Shocking Culture of Sexual Harassment (2002), an exposé of sexual harassment and discrimination on Wall Street in the 1990s. Among other awards in her field, she has been a three-time winner of the Society of American Business Editors and Writers Best in Business award for her columns at Bloomberg View and TheStreet. In 2016, she received the New York Press Club award for consumer reporting and the National Federation of Press Women award for business writing for her coverage of cyber-security problems at the mutual fund giant the Vanguard Group. Melissa del Bosque is a Lannan reporting fellow with Type Investigations. Based in Austin, Texas, she has written about the U.S.-Mexico border since 1998 for various media outlets, including The Texas Observer, the Guardian, and Time. Her work has also been featured on Democracy Now!, PBS, MSNBC, the BBC, and NPR. She is the author of Bloodlines: The True Story of a Drug Cartel, the FBI and the Battle for a Horse-Racing Dynasty (Ecco, 2017). In 2016, del Bosque received The Hillman Prize for magazine reporting. In 2015, her series on migrant deaths in South Texas was awarded an Emmy and a National Magazine Award. Her 2012 investigative feature about massacres in the Juarez Valley, Mexico, was a National Magazine Award finalist in the reporting category, and won awards from both the Association of Alternative News Media and the Pan American Health Organization. She has also been honored with the Sigma Delta Chi Award from the Society of Professional Journalists and the Casey Medal for Meritorious Journalism. Taylor Eldridge is a 2018-19 Ida B. Wells Fellow with Type Investigations. She is a New York-based investigative journalist. She is currently an investigative fellow with the non-profit newsroom, The Marshall Project, where she covers a variety of topics within criminal justice, with a focus on mental health and healthcare. Her work has appeared on Vox.com, the Newyorker.com and others. Adam Federman is a reporting fellow with Type Investigations. His writing has appeared in The Nation, The Guardian, Salon, Columbia Journalism Review, Utne Reader, Gastronomica, CounterPunch, Adirondack Life, Adirondack Explorer and other publications. 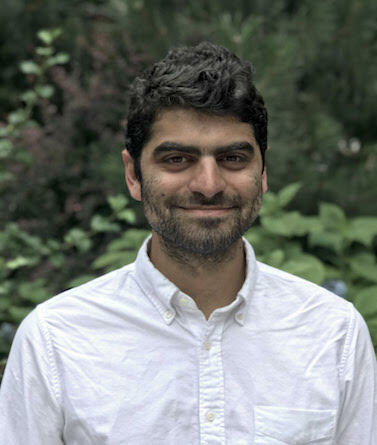 He is the recipient of a Polk Grant for Investigative Reporting, a Middlebury Fellowship in Environmental Journalism, and a Russia Fulbright Fellowship. His biography of British food writer Patience Gray, Fasting and Feasting: The Life of Visionary Food Writer Patience Gray, will be published by Chelsea Green in June 2017. Seth Freed Wessler is a Puffin reporting fellow at Type Investigations. An investigative reporter based in New York, he has reported for the New York Times Magazine, the Nation, ProPublica, This American Life, Reveal from the The Center for Investigative Reporting and PRX, Elle magazine, and NBC News. Seth has won numerous awards including the Hillman Prize, the Izzy Award, the investigative prize from the Society of American Business Editors and Reporters, the reporting award from the Arthur L. Carter Journalism Institute, the Al Neuharth Award for Investigative Journalism from the National Association of Hispanic Journalists, and the Immigration Journalism Prize from the French-American Foundation. Seth was previously a staff reporter for NBCnews.com and Colorlines.com, a Soros Justice Media Fellow, a visiting scholar at NYU’s Arthur Carter Journalism Institute, and a Logan Nonfiction Fellow at the Carey Institute for Global Good. He is a senior fellow at the Schuster Institute for Investigative Journalism. 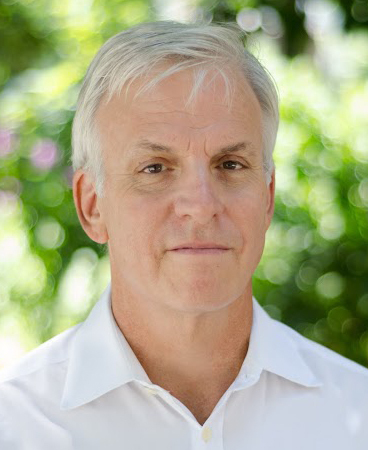 Seth’s work on immigration enforcement, federal prisons and social services has spurred the passage of legislation and led to litigation and to shifts in federal and state immigration and child welfare policy. He has appeared on NPR's Fresh Air, WNYC, Democracy Now, and MSNBC. Seth tweets at @sethfw. Sylvia A. Harvey is a reporting fellow with Type Investigations. A journalist based in New York, she reports at the intersection of race, gender, and policy. Her work has appeared in The Nation, Yes! Magazine, Elle.com, Colorlines, the Feminist Wire, Narratively, the New York Post, AOL’s Bedford-Stuyvesant Patch, where she served as the gentrification columnist, and more. Her commentary on race and the criminal justice system has been featured on WNYC, NPR, WBAI, HuffPost Live, and beyond. In 2016, SAH received the National Association of Black Journalists (NABJ) Salute to Excellence Award. She holds a Bachelors of Arts in sociology from Columbia University and a Masters of Science in journalism from Columbia’s Graduate School of Journalism. She tweets at @Ms_SAH. 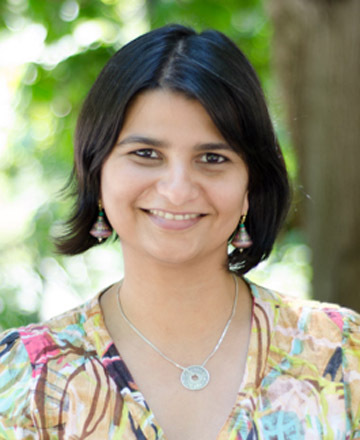 Zahra Hirji is a 2018-19 Ida B. Wells Fellow with Type Investigations. She is a Washington, DC-based staff reporter at BuzzFeed News, covering energy and climate change — everything from the Trump administration’s rollback of environmental rules, to worker safety in the Alaskan oil patch. She previously wrote about fracking, global climate negotiations, and other environmental issues for InsideClimate News, Discovery News, and EARTH Magazine. Isma’il Kushkush is a 2018-19 Ida B. Wells Fellow with Type Investigations. He has contributed to the New York Times, CNN, the Associated Press, Guernica and Reuters, among others. He was based in Khartoum, Sudan, for eight years and has covered political, economic and cultural stories from Sudan, South Sudan, Kenya, Ethiopia, Somalia, Burundi, Sweden, Israel, the Palestinian territories and the United States. He holds a bachelor’s degree from the University of California, Davis, and a Master of Arts degree from the Columbia Journalism School with a focus on politics and global affairs. Sharon Lerner is a reporting fellow with Type Investigations covering environmental issues for The Intercept. Her work focuses on the way corporate pollution impacts ordinary Americans and failures within the environmental regulatory process. Her stories have been used in Congressional hearings, have helped lead to lawsuits of the US Air Force over its use of PFC-containing firefighting foam, and have helped get PFOA listed in the Stockholm Convention. Her investigation of chlorpyrifos was the first to lay out how the Trump Administration might reverse a long-awaited ban of the pesticide. Her stories have also appeared in The New York Times, The Nation, and The Washington Post,among other publications. Sharon’s reporting has received an Izzy Award and awards from The Society for Environmental Journalists, The American Public Health Association, the Women and Politics Institute, and The Newswoman’s Club of New York. Her series about perfluorinated chemicals, The Teflon Toxin, which she did with the Investigative Fund, was a finalist for a National Magazine Award. Sharon has also covered health issues and, in 2010, wrote a book on American family policy. She has worked in public radio and turned one of her investigative pieces for The Intercept, about an environmental activist who landed in prison, into a long-form radio piece. Sarah Posner is a reporting fellow with Type Investigations and author of God's Profits: Faith, Fraud, and the Republican Crusade for Values Voters (Polipoint Press), which she wrote with the support of the Nation Institute. She writes a blog for the Washington Post and is an associate editor of Religion Dispatches, where she writes about politics. Her coverage of religion and politics has appeared in The Nation, American Prospect, Salon, The Washington Spectator, and many other publications. Rebecca Rivas is a 2018-19 Ida B. Wells Fellow with Type Investigations. She is an El Paso native who now lives in St. Louis, covering racial equity and inclusion, local politics and general news as a staff reporter at the St. Louis American, consistently named the nation’s top African-American newspaper. As a Fulbright scholar, she investigated Peru’s high maternal-death rate among Andean women and produced a 45-minute documentary that has been used as an educational tool in college campuses nationwide. Her work has also appeared on NPR, HuffPost and National Geographic online. Dax-Devlon Ross is a reporting fellow with Type Investigations, the author of five books and an award-winning investigative journalist who covers social and criminal justice. His work has appeared in Time and The New York Times, along with many other prominent publications, and been nominated for the Hillman Prize and the Molly National Journalism Prize. In 2015, he was awarded the National Association of Black Journalist’s Investigative Reporting Award for his coverage of jury exclusion in North Carolina courts. Alongside his journalism, he has established an consulting practice that focuses on developing disruptive strategies to generate inclusion and equity in workplaces and education spaces alike. He is a graduate of the George Washington University School of Law. Juliana Schatz Preston is 2017-18 Ida B. Wells Fellow with Type Investigations, and Colombian-American documentary filmmaker based in New York. Schatz Preston’s Type fellowship project, A Desperate Bargain, investigated how parents seeking care for children with severe mental illness end up losing custody to state child welfare agencies. A radio documentary aired on Reveal, from the Center for Investigative Reporting, in March 2019, and an accompanying documentary will be released by FRONTLINE. Schatz Preston’s directorial debut, Los Comandos, was shortlisted for the 2019 Academy Awards and was a nominee for the 2018 International Documentary Award. She started her career at FRONTLINE, where she contributed to 12 public affairs documentaries, among them two Emmy Award winners and one Peabody Award winner.